We’ve just posted 13 scrapbooks that describe the life and career of Dr. Rudolph Jones, North Carolina native, life-long educator, and sixth president of Fayetteville State University. These scrapbooks were published on behalf of our partners at FSU’s Chesnutt Library. A World War II veteran and graduate of Shaw University, Dr. Jones served as college president from 1956-1969, during which time Fayetteville State Teachers College (FSTC) became Fayetteville State College. Jones had a long and distinguished career as an educator, beginning as a high school teacher, moving on to school principal and college dean before becoming FSTC’s President. During his tenure as president, the College saw increased enrollment and robust campus growth. 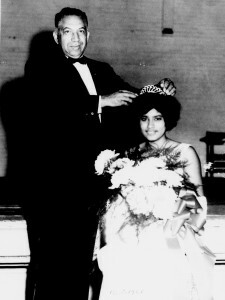 In 1969, Dr. Jones went on to teach in and chair the Business Department at Elizabeth City State University, where he received the Distinguished Teacher of the Year Award. He retired in 1975. 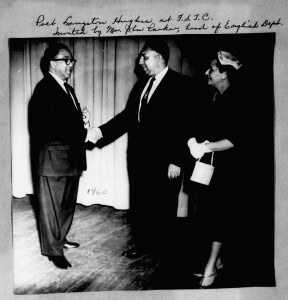 The Rudolph Jones Scrapbook Collection can be viewed on DigitalNC. Yearbooks, newspapers and catalogs from Fayetteville State University are also available.